Here at the Roost, we pride ourselves at striving for our best in all we do, whether this is working hard in HOL classes, posting actively in the Roost, or botting 1000 points a day. Therefore, some very smart eagle decided to reward other eagles who have shown themselves to be outstanding, and this was how the Ravenclaw Awards were created! Four monthly awards are given out during the school year, from September to June. In order to spread the recognition to more Ravenclaws, once an eagle has won one of these awards during a given year, they cannot win it again. Eagle of the Month is given to the top point earner of each month. Points are tracked by the prefects of each nest. Shortly after the end of every month, all prefects and reserves provide their nominations for the Blue Virtue and Bronze Ambition awards. Hawking HOLer is chosen by the HoH and DHoH. Quidditch is a team effort, but individuals also rise and shine at times. Unfortunately (usually) only one MVP award is given out by the referee and Quidditch Board member for each match, so the Ravenclaw Quidditch Team has its own set of awards to honor its amazing team members. 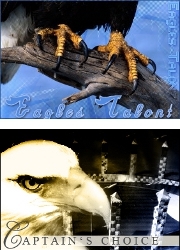 A recipient for the Eagle's Talont is chosen by all RQT members after each match. This is typically not the same person who was awarded MVP. At the end of the season, Eagle's Talont for the year is recognized for their talent, dedication, and sportsmanship. The Eagle's Talont is an extremely prestigious award because the winner, or winners as ties are very common, is picked by all their teammates. The co-captains also give out the Captain's Choice award to a deserving RQT member after every game. Sapphires were created to boost Roost activity, so new awards also had to be created. 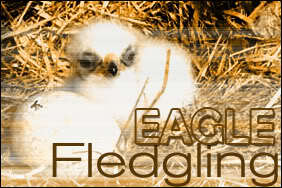 The Fledgling Eagle award is given to the first or second year who collected the most sapphires during the school year. Similarly, the Veteran Eagle award is given to the older eagle who earned the most sapphires in a year. At the end of the year, eagles are recognized for the total number of points they earned during the school year. Wonderful Wingmasters include all eagles who earned 300-599 points. 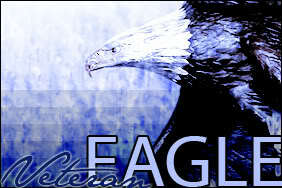 Excelling Eagles are those who earned 600-1999 points. Jaw Droppers earn a jaw dropping 2000+ points. Of course, Ravenclaw of the Year goes to the top point earned of the year. The end of the year is also the time to honor eagles for their personalities, skills, and challenges overcome in the past year. All Ravenclaws are invited to submit their nominations for Biggest Beak, Bold Eagle, Ravenclaw in Awe, ROFL, Wing Painter, and High Flying Friend. Posting regularly in the Roost can earn someone the Aviary Enthusiast or Roost Booster awards. Those who frequent irc are given the Chatterbox award. Unsung Heroes are also honored in hopes that they will be heard in the Roost the next year. Ravenclaws are proud of their studious natures. At the end of the year, the HoH reaches out to all HOL professors and student teachers and asks them all to name the top Ravenclaw in each class. 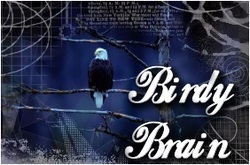 All of the eagles who receive the Birdy Brain award submit brilliant homework throughout the school year. Several eagles consistently garner a nice handful of Birdy Brain awards year after year. 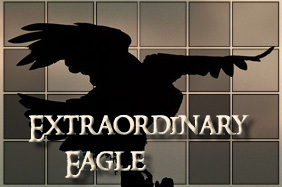 Whenever the HoH and DHoH believe someone is extraordinary, they can give out the Extraordinary Eagle award. The highest recognition for any Ravenclaw is to be likened to Rowena Ravenclaw. 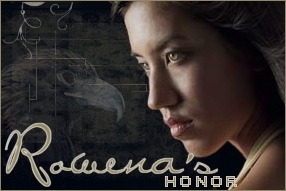 Rowena's Honour is chosen by the HoH and DHoH every year. It is given to someone who truly exemplifies all of the characteristics of the Ravenclaw House. When Rames announced that treasures would be added to HOL profiles, the Ravenclaw staff at the time decided it would be best to make all Ravenclaw awards from the same template. Through the combined efforts of Ulol Kimil, Sandra Bloomwicks, Jenna Hathaway, Morag McQueen, Ayahzy Nahki, Ireth Halliwell, and Cassandra Lobiesk, we have these shiny awards to show off!